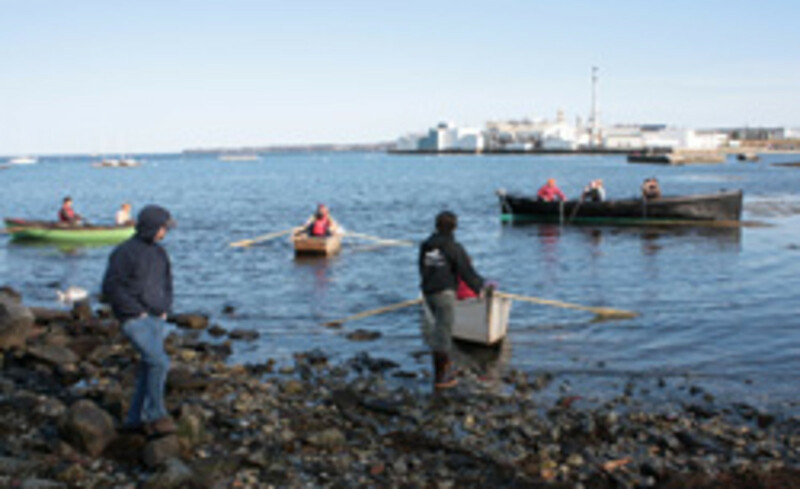 The Apprenticeshop invites the public to gather on the pier at 643 Main St. in Rockland, Maine at 2 p.m. June 22 as six traditionally-built wooden boats take their maiden voyage. This annual June launch marks graduation day for four of the apprentices enrolled in the school’s two-year wooden-boat building program, and culminates the work of the last six months for all students. Among the projects to be splashed into Rockland Harbor is Lyric, an Olympic 5.5 Meter. Originally donated to the school a decade ago, Lyric underwent a major restoration last winter. 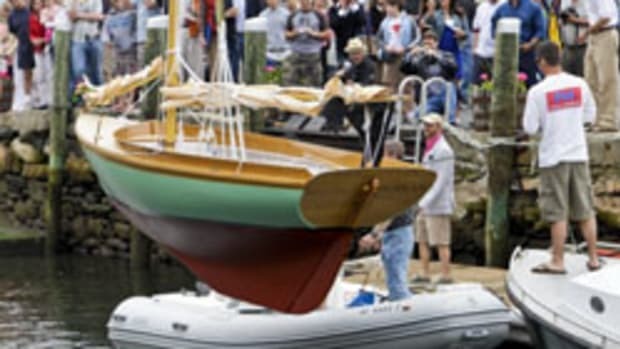 The school will reintroduce the 31-foot sloop as its flagship and has plans to race her in several classic wooden boat races this summer. Also launching is the Perkins Island Lighthouse tender, a replication of a 15-foot Oliver Lyman rowing/sailing boat originally built in 1907 and kept in the collection at the Maine Maritime Museum since 1971. This project is a collaboration between The Apprenticeshop and Maine Maritime Museum in celebration of their concurrent (40th/50th respectively) anniversaries. Students, staff and volunteers of both organizations contributed time and craftsmanship to its construction, and the boat is to be raffled off this summer. Three Susan skiffs, the standard first project for all first-year and intensive students, will launch as well as a 10-foot Herreshoff Columbia dinghy. The launch will take place rain or shine.